This advanced system was designed for the professional who demands the finest software available which combines flexibility, advanced features, and integration into one package. Superior interface facilitates training new employees and ad hoc answers to queries. PSI parcel management facilitates parcel subdivisions (splits) and consolidations. Virtually unlimited search methods for retrieving desired parcels and assessments. Generates ad hoc reports, mailing labels, custom correspondence and notification letters. Maintains easy to read historical log of all assessments with point-and-click review capabilities. Financial reporting and audit features second to none. All facets of assessment processing are easy to track and follow. All work requests may be accessed via the internet or via ParcelTrack.™ High priority requests may also be emailed to the field workers for immediate attention. Embedded ESRI mapping functionality available as an option. 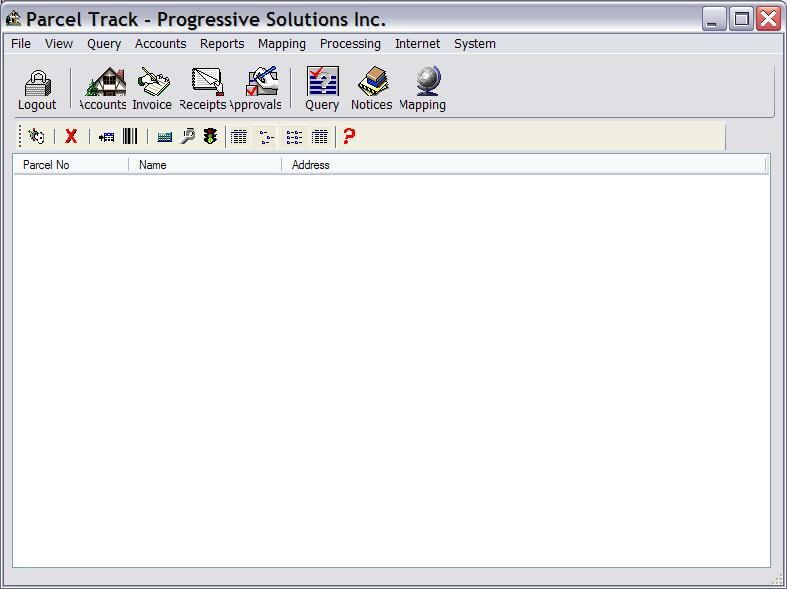 Parcel related case management information may be viewed from PSI’s LicenseTrack™ Business Licensing. Easy to implement fee calculations. Assessments may be transmitted via the web or via other digital media. Accommodates inspection processing for hazardous materials, code enforcement etc. Stores Conditional Use, Variance and other Case related Parcel activity. into virtually any financial system. ParcelTrack™ is a true client server application. It is written using C# / C++ to obtain maximum speed and flexibility possible. ParcelTrack™ complies with the Open Database Connectivity (ODBC) technology that allows ParcelTrack™ to utilize any ODBC compliant database. It is designed for single user, network and remote environments. —give us a call; there are a few variables that need to be considered. Our systems are designed to run on reasonably new Windows® systems. An ODBC compliant database system is required. Often, this means a Windows server with MS Sql.